Combigan is a combined medicinal product which includes two active substances: brimonidine – alpha adrenoceptor agonist stimulating alpha-adrenergic receptors, and timolol – beta-adrenergic receptors blocker. The both active substances decrease high intraocular pressure due to combined interaction. This co-action results in more pronounced hypotensive effect in comparison with the efficiency of each ingredient taken separately. Brimonidine is an alpha adrenergic blocking agent which is characterized by a thousand-times bigger selectivity in regards to alpha2-adrenoceptors in comparison with alpha1-adrenoceptors. The selectivity is expressed in the absence of mydriasis and vasoconstriction of microcirculatory bloodstream cells. Hypotensive action of brimonidine is provided due to decrease of intraocular fluid production and enhancement of its efflux through uveoscleral canal. Timolol is non-selective beta-adrenergic receptors blocker. It doesn’t have inner sympathomimetic and membrane stabilizing activity, and is not a direct myocardial depressant drug. Timolol decreases intraocular pressure due to reduction of intraocular fluid production. The exact timolol mode of action is not confirmed. Possibly it is connected with inhibition of cyclic adenosine monophosphate synthesis and is induced by endogenous stimulation of beta-adrenergic receptors. The average number of Cmax of brimonidine and timolol in blood plasma after prescription of Combigan makes 0,0327 and 0,406 ng/ml accordingly. Brimonidine. After instillation of 0,2% of solution in the form of eye drops, brimonidine concentration in blood plasma is very low. Brimonidine is exposed to metabolism on eye tissues to a small extent. Connection with plasma proteins is around 29%. Elimination half-life of the medicine is in average around three hours. The main part of the remedy (about 74% of dosage which was absorbed into systemic blood) is exuded in the form of metabolites within the course of five days. Brimonidine is not observed in unchanged form in urine. During research studies of hepatic cell of animals and people, it was shown that aldehyde oxidase and cytochrome P450 are included to metabolic process to a considerable extent. Thus, systemic clearance is first of all determined by metabolism of the medication in liver. Brimonidine forms feedback link with melanin in eye tissues without development of adverse effects. Accumulation doesn’t happen if melanin is absent. Brimonidine is generally not metabolized in eye tissues. Timolol. After topical administration of 0,5% of eye drops by patients who underwent surgical treatment of cataract, Cmax of timolol in ocular fluid was on the level 898ng/ml per hour after the intake. Elimination half-life of timolol in blood plasma is around seven hours. Timolol is connected with plasma proteins to a low extent. Timolol is partially exposed to metabolism in liver. Active substance and its metabolites are produced in liver. Ocular hypertension (in case of insufficient efficiency of beta-adrenergic receptor blockers of topical administration). Combigan is administered by adults including elderly patients. Combigan is taken locally by one drop in conjunctival sac of first eye per day with interim of 12 hours. Combigan may be applied altogether with other ophthalmological medicines with the purpose of intraocular pressure decrease. In case a patient takes 2 or more medications, he should make a 5-minutes break between the instillations. The same as with other eye drops, it is recommended a short-term pressing on tear-bag on the location of its projection near the angulus oculi nasalis or closing of eye lids for 2 minutes in order to decrease of possible systemic absorption. It should be done right after instillation of each drop with the purpose of decreasing of systemic side-effects and enhancing of local action. Active substances: brimonidine tartrate, timolol (in the form of maleate). Auxiliary agents: benzalkonium chloride, sodium phosphate heptahydrate, sodium dihydrogen phosphate monohydrate, acidum hydrochloricum or sodium hydroxide, pure water. Safety and efficiency of the drug are not established. Therefore, Combigan is not to be used by children. Co-therapy with monoamine oxidase inhibitors and antidepressants influencing noradrenergic transmission (tricyclic antidepressants and mianserin). 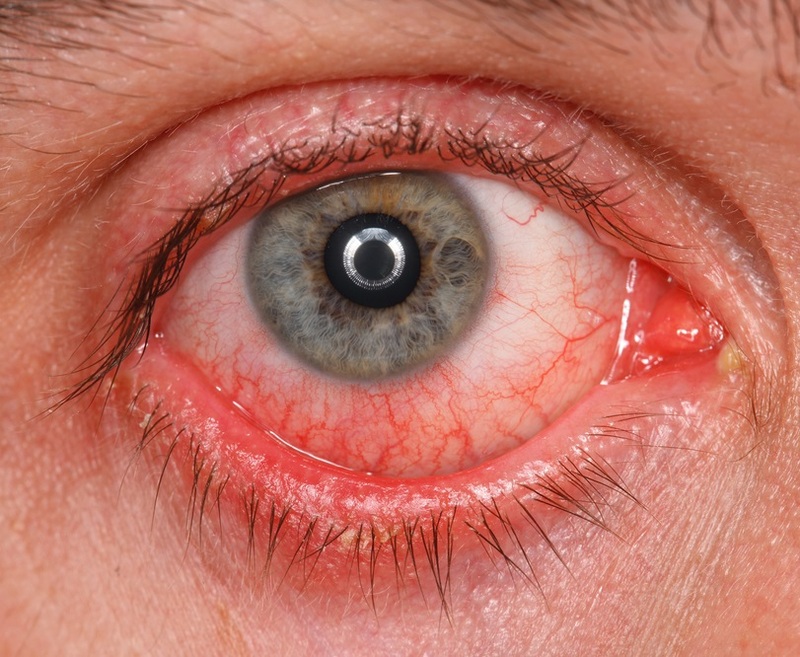 The most frequently-met adverse effects may be conjunctival hyperemia (around 15% of patients) and burning feeling of conjunctiva (around 11% of patients). In the majority of cases, the manifestation of the afore-mentioned symptoms was weak. The therapy termination was required only in 3,4 and 0,5% of cases accordingly. The following side-effects depending on frequency of occurrence have been reported: very often (>1/10); often (>1/100, <1/10); seldom (>1/10 000, <1/1000); very seldom (<1/10 000). Seldom – decrement in visual acuity, conjunctival oedema, follicular conjunctivitis, allergic blepharitis, conjunctivitis, floating precipitates in crystalline humor, asthenopia, photophobia, hypertrophia of eye papillary muscles, eyelid morbidity, conjunctive paleness, corneal oedema, infiltrates of cornea, breakage of crystalline humor. From the part of psychics: often – depression. Seldom – backward heart failure, palpitation, bradycardia, arterial hypotension. From the part of respiratory organs: seldom – rhinitis, extreme dryness of the nasal mucous membrane. Seldom – taste perversion, feeling sick, and diarrhea. From the part of skin and subcutaneous fat: often – palpebral oedema; itching of eyelid skin; blushing of face skin. From the part of immune system: seldom – allergic contact dermatitis. Other failures: often – asthenic syndrome. During clinical trials, some patients noted eye allergic reactions (allergic conjunctivitis and allergic blepharitis). Allergic conjunctivitis was exposed among 5,2% of patients with typical beginning between 3rd and 9th month. In total, around 3,1% of patients stopped taking Combigan. Allergic blepharitis was rarely reported – <1%. After the allergic reaction exposure, treatment with Combigan should be immediately terminated. Like all other ophthalmologic medications taken locally, Combigan may be absorbed systematically. The increase of systemic absorption of separate active substances was not observed. Due to the presence of beta-adrenergic component, timolol the same type of side-effects may occur as while the intake of beta-adrenoceptor blockers. The frequency of systemic adverse reaction resulted from the local intake is lower than in in case of systematic intake. Cardiac diseases. Patients suffering from cardio-vascular diseases, such as coronary heart disease, Prinzmetal’s angina and cardiac failure, and during the course of hypotensive therapy with the intake of beta-adrenoceptor blockers should be thoroughly examined and prescribed the alternative drugs with other active substances. Patients suffering from cardio-vascular diseases should also be tested for exposing the signs of impairment of these disorders and side-effects. Beta-adrenoceptor blockers should be prescribed with care for patients suffering from the first degree heart block. Like other systemic blockers of beta-adrenoceptors in case of necessity of therapy termination, Combigan should be refused gradually by patients suffering from coronary artery disease in order to prevent from development of rhythm disturbance, myocardial infarction, and unexpected death. Vascular disorders. Patients suffering from severe impairments/ disorders of peripheric circulation (e.g. severe forms of Raynaud disease) should administer Combigan with reserve. Adverse respiratory effects. Combigan should be taken with case by patients suffering from chronic obstructive pulmonary disease of mild and moderate degree (chronic bronchitis, emphysema). It should be used only in case when potential benefit to the patient outweighs any potential risk. Respiratory disorders including bronchial spasm death were reported among patients with bronchial asthma after prescription of some ophthalmologic beta-adrenoreceptor blockers. Hypoglycemia/diabetes. Beta-adrenoreceptor blockers should be taken carefully by patients with underlying risk for spontaneous hypoglycemia or brittle diabetes, since this type of blockers may disguise the signs and symptoms of acute hypoglycemia. Beta-adrenoreceptor blockers may disguise the signs and symptoms of hyperthyroidism. Combigan should be taken with reserve by patients suffering from metabolic acidosis and chromaffinoma (without pre-treatment). Ophthalmological diseases. Ophthalmological beta-adrenoreceptor blockers may cause eye dryness. Patients suffering from eye cornea disorders should use Combigan carefully. Retinal separation. The cases of retinal separation were reported during the intake of medications decreasing the accumulation of intraocular fluid (for example, timolol) and after filtrational surgical management of glaucoma. Combigan’s action was not examined among patients suffering from angle-closure glaucoma. Delayed hyperresponsiveness was reported after the intake of 0,2% of brimonidine tartrate solution. Moreover, some cases were connected with increased intraocular pressure. Co-administration with other beta-adrenoreceptor blockers. Influence on intraocular pressure or well-known effects of systematic beta-adrenoreceptor blockers may enhance while taking of timolol by patients who already take another systematic beta-adrenoreceptor blocker. Reaction on treatment by such patients should be thoroughly controlled. The intake of two local beta-adrenoceptor blockers is not recommended. Anaphylaxis reaction. On the setting of therapy with the medicines belonging to the group of beta-adrenoreceptor blockers by patients suffering from atopic disease or complicated anaphylaxis reactions on various allergenic agents in past medical history, the increase of reaction after repetitive introductions of such agents and absence of effect after the introduction of epinephrine in traditional dosage may occur. Ophthalmologic beta-adrenoceptor blockers may block the effect of beta-agonists, such as epinephrine. Anesthesiologist should be warned about the Combigan intake before the planned surgery. Hepatic/renal failure. Patients suffering from hepatic or renal disorders must use Combigan with care. The administration by patients from this group is insufficiently studied. Patients with severe impairments of function of kidneys in hemodialysis had the pronounced arterial blood pressure drop while treatment with timolol. calcium channel-blocking agents, guanetidin, beta-adrenoreceptor blockers, antiarrhythmic drugs (including amiodarone), cardiac glycosides or parasympathomimetics due to the risk of additive effect of arterial blood pressure drop occurrence and/or brachycardia development. Medications influencing metabolism and uptake of circulating catechol amines. Combigan auxiliary agent, benzalkonium chloride may cause conjunctival irritation. Before instillation of Combigan, a patient should take off contact lenses. They may be put on again in 15 minutes. It is well-known that benzalkonium chloride deprives soft contact lenses of color. Therefore, its contact with soft contact lenses should be avoided. 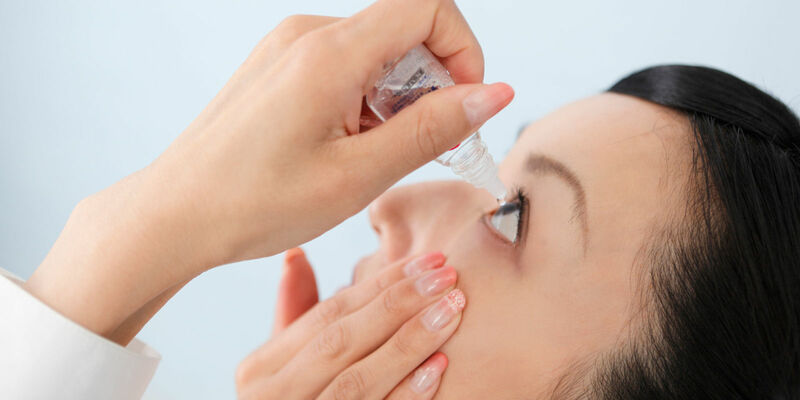 In order to prevent from infecting of eyes and eye drops contamination, the contact of dropper point with any kinds of surfaces should be avoided. Upon the termination of expiry period after opening of bottle (28 days), the dropper bottle is recommended to be disposed of even if it contains considerable amount of medication. It is required in order to prevent from the risk of infecting. A patient should write the date of opening of the bottle on the cardboard package. Combigan takes insignificant effect on ability to drive and use machines. The intake of Combigan may cause side-effects, such as amaurosis fugax, weakness and drowsiness development. In case of occurrence of the afore-mentioned symptoms, a patient should refuse all activities requiring special attention. The controlled research studies of Combigan intake by pregnant women were not established. Therefore, Combigan intake during pregnancy is contraindicative. Timolol penetrates into maternal milk. Therefore, the medication is counter-indicative during breast feeding. The cases of Combigan overdose were rarely reported. Overdose didn’t lead to side-effects occurrence. Overdose treatment includes supporting and symptomatic treatment. It is important to maintain patient’s breathing. There were reported the cases of occidental overdose of ophthalmological timolol leading to systemic effects similar to the ones occurring while the intake of systematic beta-adrenoreceptor blockers, such as vertigo, headache, labored breathing, brachycardia, arterial hypotension and cardiopulmonary arrest. There were few cases of overdose from brimonidine intake. Only one case of overdose was registered resulting in arterial hypertension development. Keep out of reach of sunlight in the original package. Do not store above 25 °C. The expiry period after the first opening of the dropper bottle is 28 days.